Polished concrete is the new way to create a beautiful, reflective, low-maintenance floor. Nearly any concrete slab can be transformed into polished concrete using diamond abrasives, offering many advantages over traditional coatings (paint, epoxies), tile, or carpet. 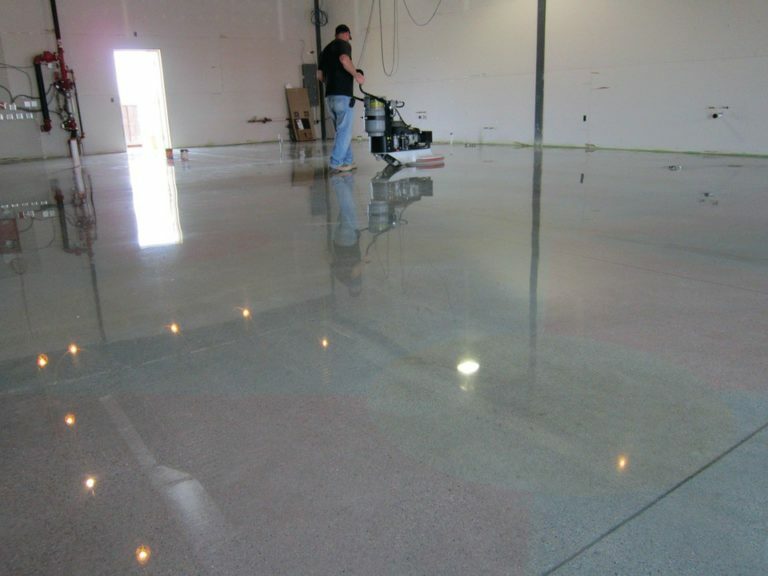 We can show you the benefits of a superior concrete polishing team better than we can tell you. Get an immediate upgrade to your facility appeal today! Why Work With Intelli-Clean Solutions? At Intelli -Clean Solutions, Inc, our team is committed to providing top-notch concrete polishing services throughout Tampa. Since 1968, our commercial concrete polishing team has been licensed, bonded, insured, and devoted to putting the needs of our customers first. Regardless of how big or small space is, our team is ready to provide you with the concrete polish you desire. Your happiness is our number-one priority, and you can rest assured that we will do everything we can to help you get the results you’ve always wanted.